"John Stuart Mill." An introduction, from The Penguin Dictionary of Philosophy . Scarre, G.F. "John Stuart Mill." 4 Oct. 2003. Literary Encyclopedia . Eds. Robert Clark, Emory Elliott, Janet Todd. An introduction to Mill, from a database that provides signed literary criticism by experts in their field, and is available to individuals for a reasonably-priced subscription. "We've never needed John Stuart Mill more." The Independent (London), Mar 27, 2006 by Johann Hari. An essay of appreciation for Mill's "On Liberty." Salon magazine, 8/12/03, by Scott Rosenberg [ad-heavy]. "John Stuart Mill." Quite old criticism and obnoxious ads, from the Cambridge History of English and American Literature 18 Vol. (1907-21). BovÃ©, Paul. Publisher's site for Poetry against Torture: Criticism, History, and the Human (2008). "Speaks for poetry as the highest form of human consciousness...discusses poetics, Dante, and the great critic William Empson. It asks how essential is liberalism to human history and treats Mill at length. It asks about the relative importance of philosophy and poetry, and so discusses such contemporaries as Foucault and Said along with traditional figures such as Descartes and Vico." Goodlad, Lauren M. "'Character Worth Speaking Of': Individuality, John Stuart Mill, and the Critique of Liberalism." Victorians Institute Journal 36 (2008). Heydt, Colin. "John Stuart Mill." A substantial article on Mill, covers his biography and works. The Internet Encyclopedia of Philosophy, 2006. Nussbaum, Martha C. "Mill between Aristotle & Bentham." On the meaning of happiness. Daedalus 133 (Spring 2004). 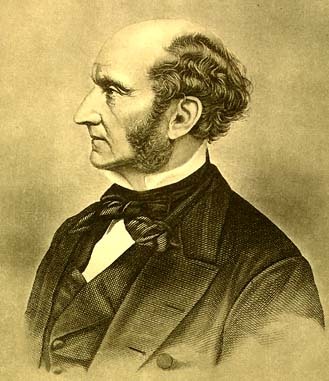 Van Camp, Julie C. A review of John Stuart Mill, Three Essays on Religion. Ed. Louis J. Matz (Broadview P 2009). Writes Van Camp, these essays "will be as surprising to many readers as they reportedly were to [Mill's] contemporaries. His earlier works had led many to conclude that he was dismissive of religion, while the essays here confound those presumptions." Notre Dame Philosophical Reviews (2009). Wainwright, Valerie. Publisher's site for Ethics and the English Novel from Austen to Forster (Ashgate 2007). "Wainwright discerns a new orientation towards an expansive ethics of flourishing or living well in Austen, Gaskell, Dickens, Eliot, Hardy and Forster. In a sequence of remarkable novels by these authors, Wainwright traces an ethical perspective that privileges styles of life that are worthy and fulfilling, admirable and rewarding. Presenting new research into the ethical debates in which these authors participated, this rigorous and energetic work reveals the ways in which ideas of major theorists such as Kant, F. H. Bradley, or John Stuart Mill." Werner, Marcia. Publisher's site, with chapter excerpt available. Pre-Raphaelite Painting and Nineteenth-Century Realism (Cambridge UP 2005). "Werner proposes that the Pre-Raphaelites developed and shared an artistic philosophy comprehensive enough to embrace all of their differences. Werner reconstructs this credo through careful study of writings by Pre-Raphaelite artists and their associates. She also examines unexplored and neglected contemporary intellectual and philosophical sources, particularly those of John Stuart Mill and Thomas Carlyle, whose works are shown to be critical to an understanding of Pre-Raphaelite painting." Wilson, Fred. "John Stuart Mill." An extended essay, covers Mill's life and philosophy, includes lengthy secondary bibliography. The Stanford Encyclopedia of Philosophy, 27 July 2006. Fiala, Andrew. "Toleration." On toleration as found in the works of John Locke, Baruch de Spinoza, Voltaire, Immanuel Kant, John Stuart Mill, John Rawls and other contemporary philosophers. Internet Encyclopedia of Philosophy . Henley, Kenneth. "Tolerance, Liberalism, and Community." Paper at the Twentieth World Congress of Philosophy, Boston, MA, 1998 . "Victorianism." The Victorian Web. Ed. George P. Landow. Essays topics include Victorianism as a Fusion of Neoclassical and Romantic Ideas; The Complex Realities of Victorianism; Main Currents in Victorian Intellectual History; The fundamental conflicts of Victorian poetry; Density and Elaborate Interconnectedness of High and Late Victorian culture; The Difficulties of Victorian Poetry; Victorian Doubt and Victorian Architecture; Victorian taste; Victorian Design; Race in Thought and Science; Victorian Earnestness; The Seaside in the Victorian Literary Imagination; Tennyson and Victorianism; The Victorian Gentleman; Crisis of Organized Religion; Queen Victoria. "Monuments and Dust." Eds. Michael Levenson, David Trotter, Anthony Wohl. IATH, U of Va. A project by an international group of scholars who are creating a complex visual, textual, and statistical representation of Victorian London. Jackson, Lee. "A Dictionary of Victorian London." Victorian social history through a "dictionary" of Victorian institutions. "Darwin Correspondence Project." Eds. Jim Secord, Janet Browne. Online database of Charles Darwin's correspondence. The Darwin Correspondence Project was begun in 1974 by Frederick Burkhardt with the aid of zoologist Sydney Smith. It is now a searchable, online, open access database that includes complete transcripts of Darwin's letters and letters written to him, staffed by researchers and editors based in the UK at Cambridge University Library, home of the largest existing collection of Darwin's manuscripts, and in the US.